Vaido (Võrumaa, Estonia) on 19 December 2011 in Landscape & Rural. comme si ce ciel signalait une guerre entre les cieux!!! this is one terrific image ... the perspective, the dramatic sky, the contours of the island ... all very, very appealing !! And they are both dwarfed by the huge cloud formation. A wonderful photograph! 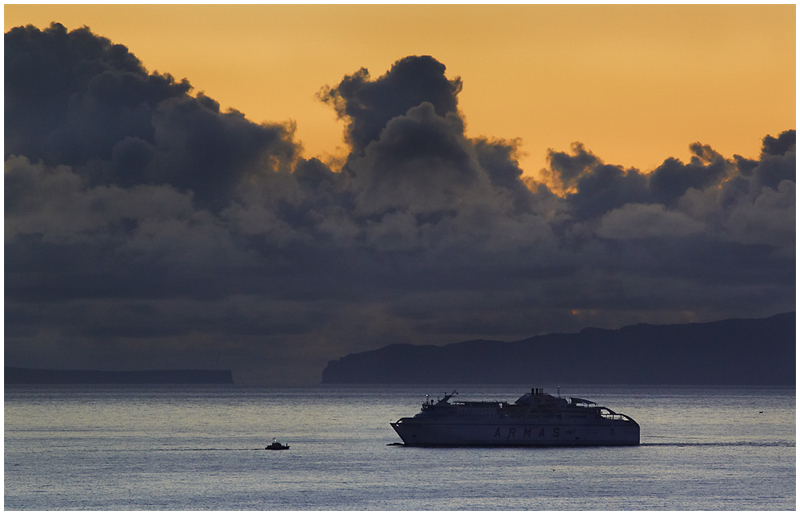 Fantastic capture with the clouds and boats...a very beautiful sky! You've done it again mate,excellent image. some superb and dramatic clouds! they way they tower over the ship is fantastic!